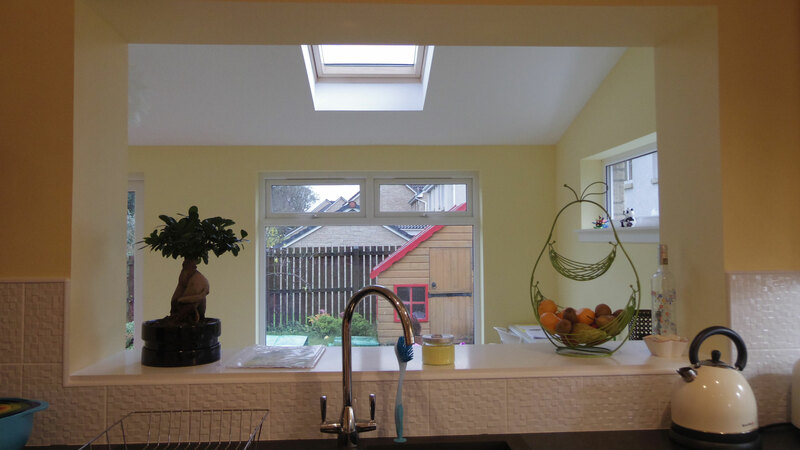 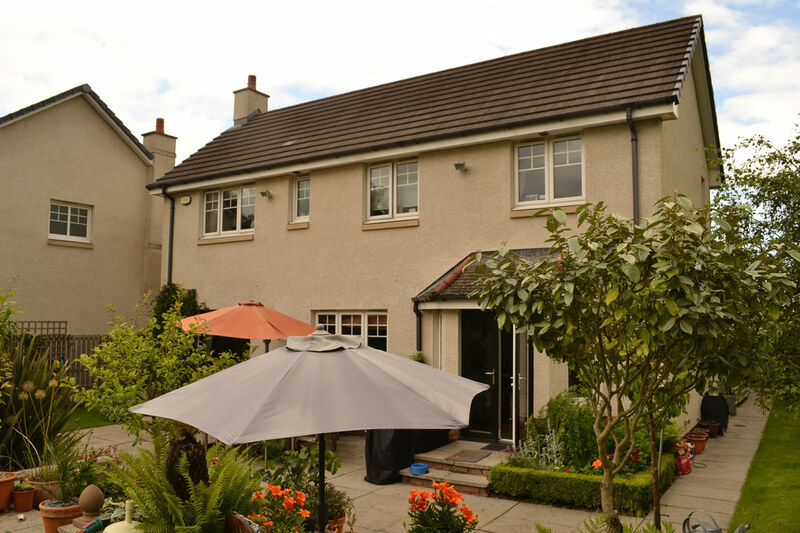 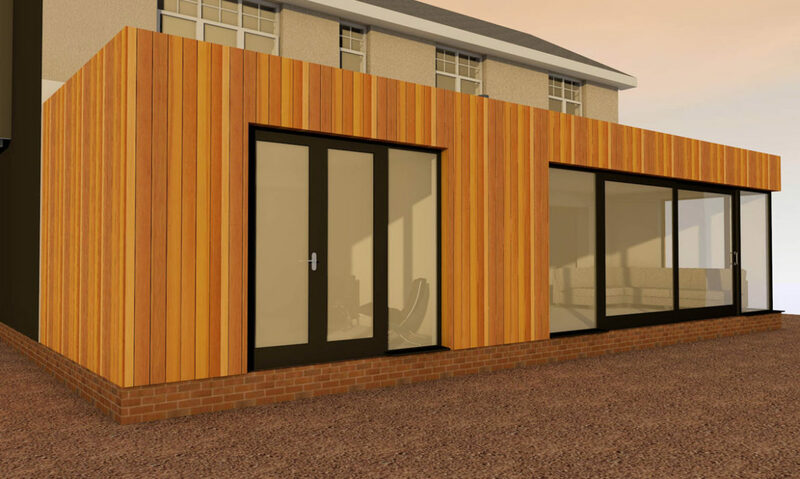 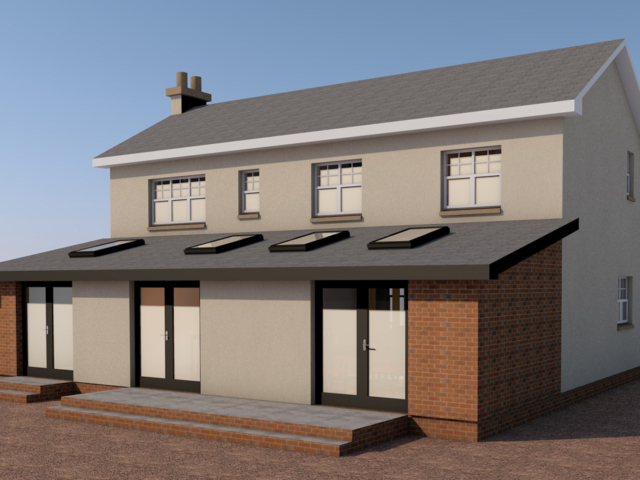 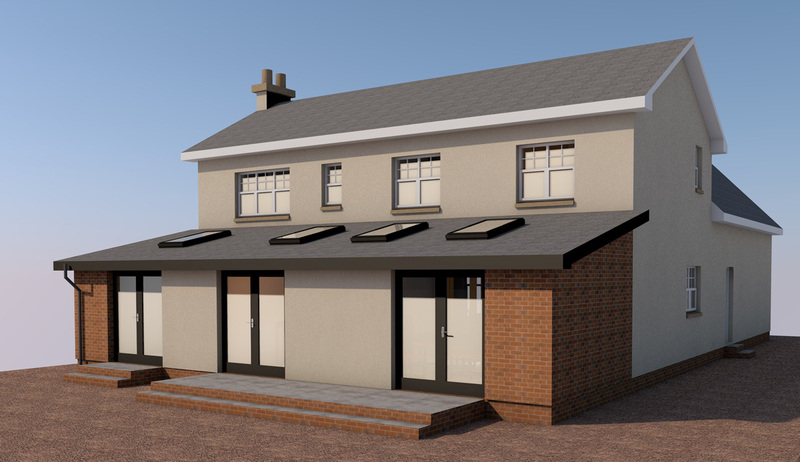 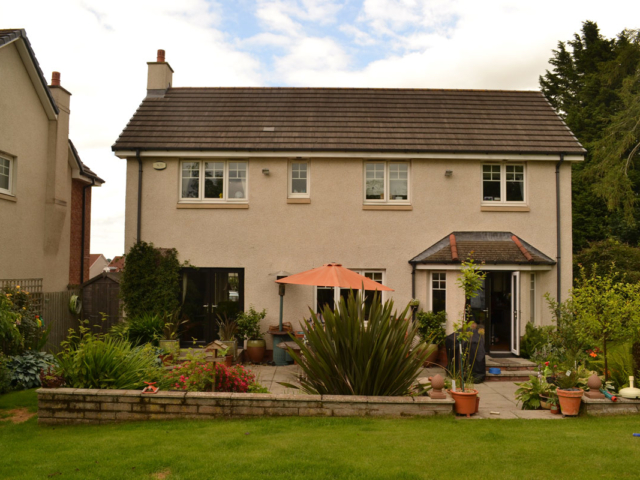 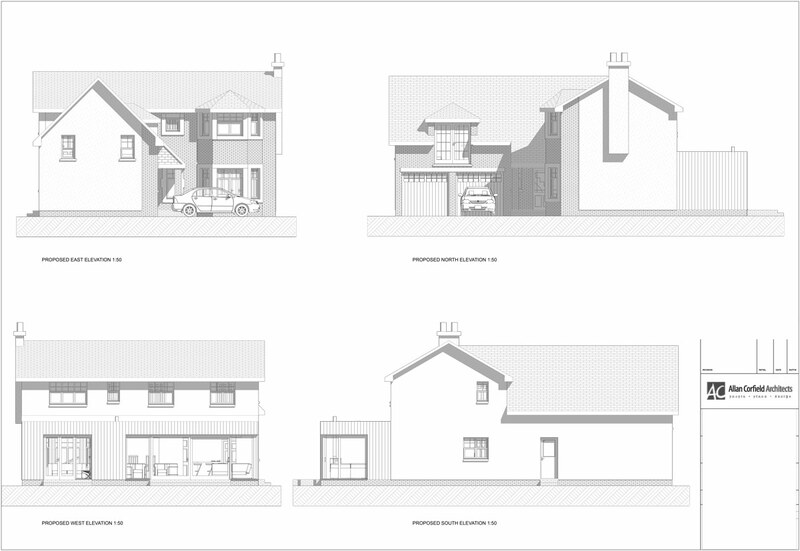 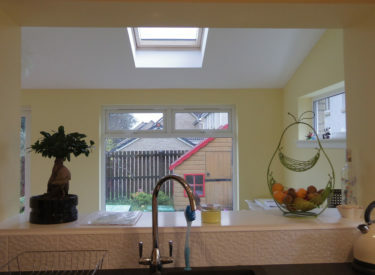 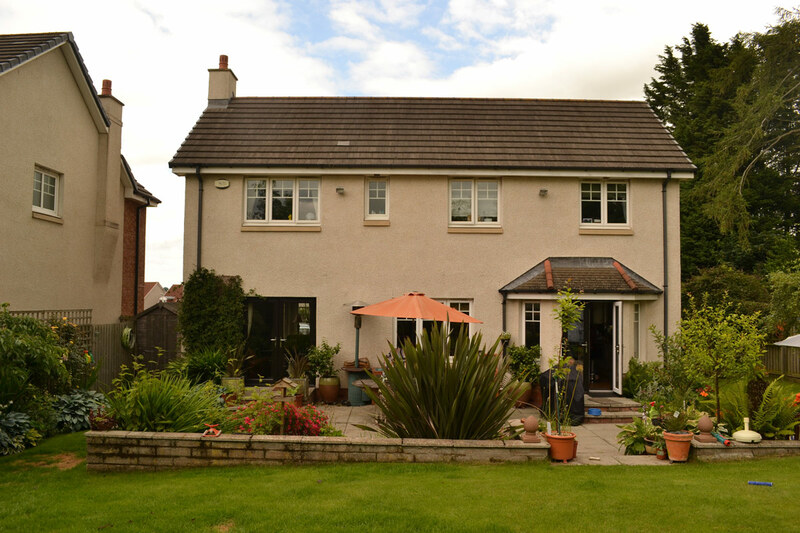 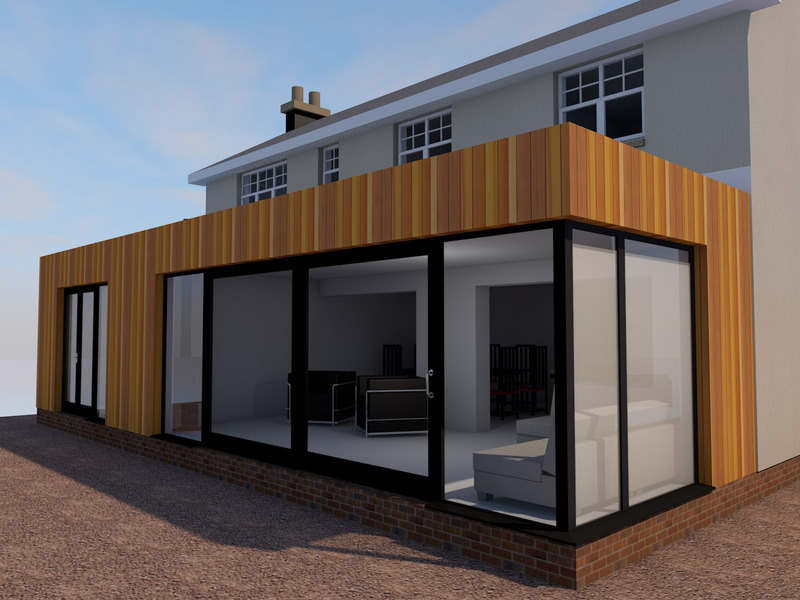 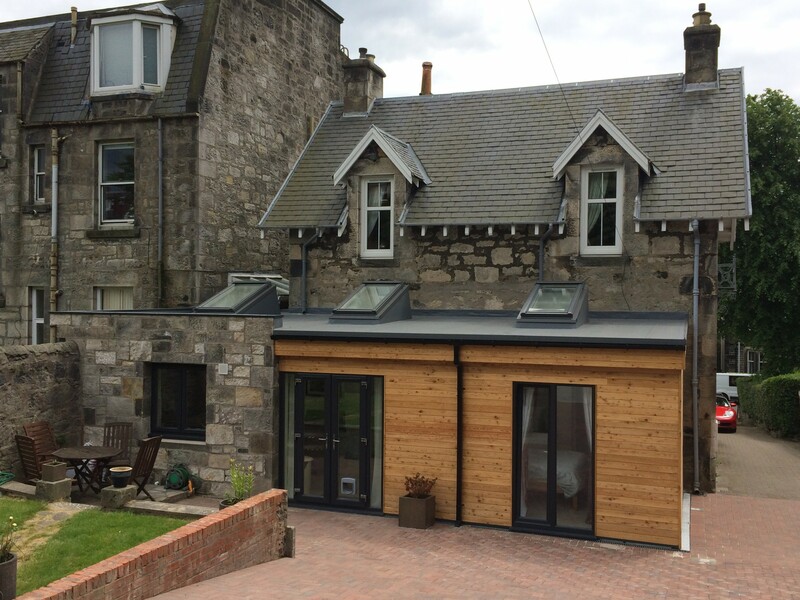 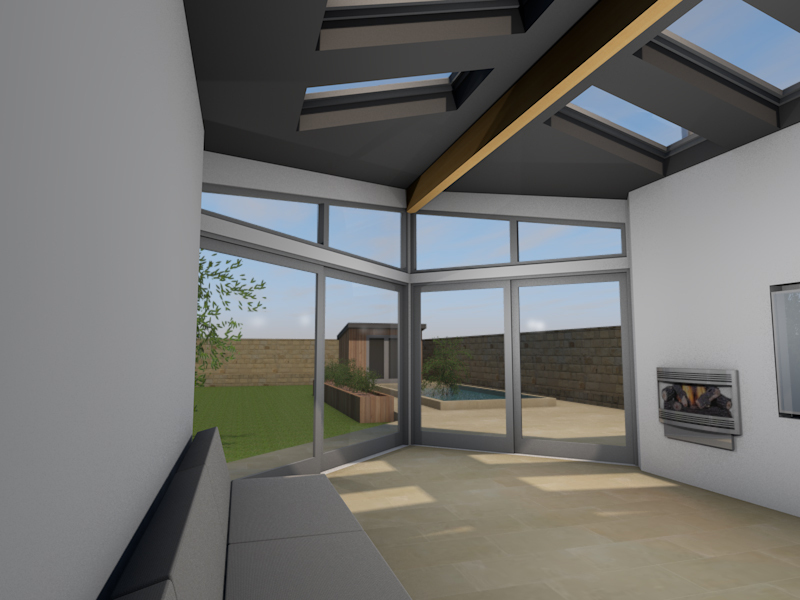 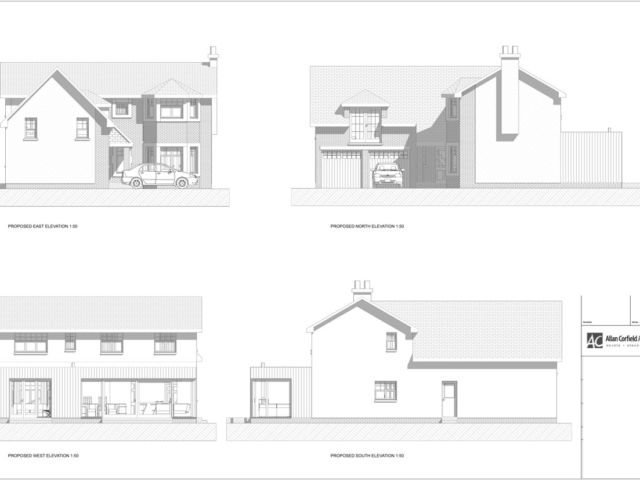 ACA were appointed to design a rear sunroom extension to a large family home in Cupar, Fife. 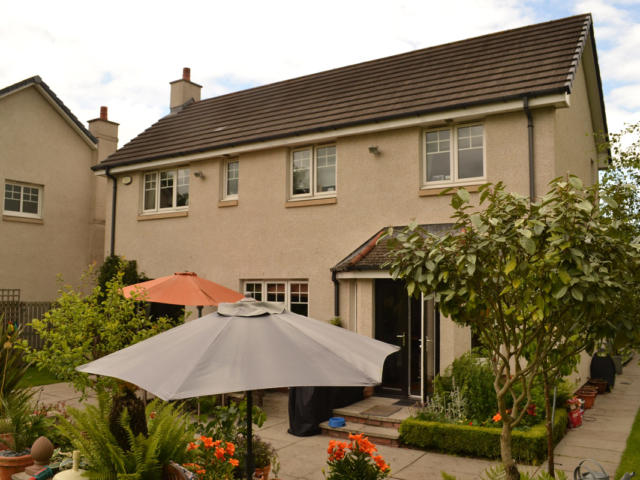 The family wished to maximise the connections with the rear garden, and increase the entertaining spaces. The proposed sunroom extension would be split into 2, providing extra space for 2 separate rooms. 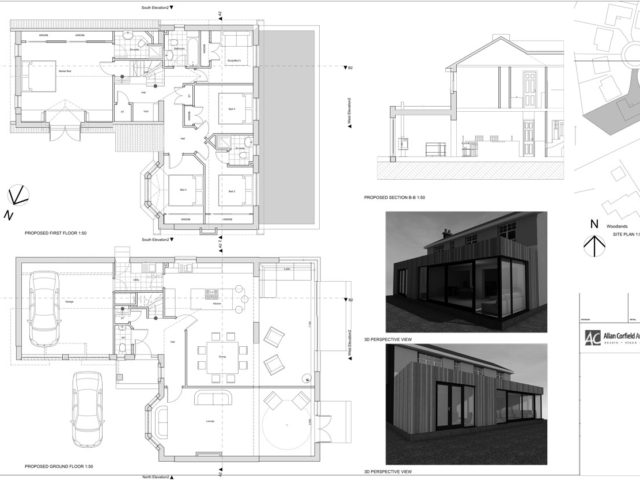 Working with the client ACA, provided a number of design options which were reviewed on desirability and on estimated construction budget. 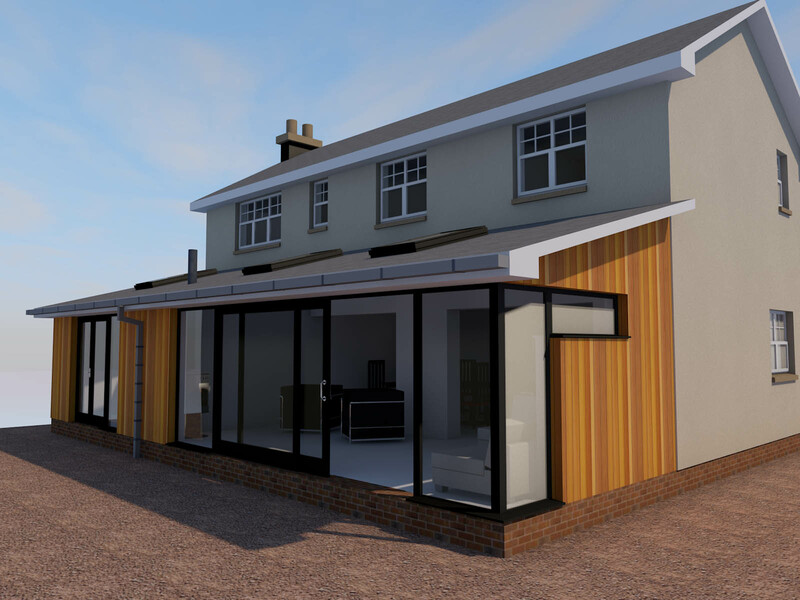 Initially the clients were not fixed on any architectural style or materials, however they did make it clear any proposal would need to feature lots of glass. 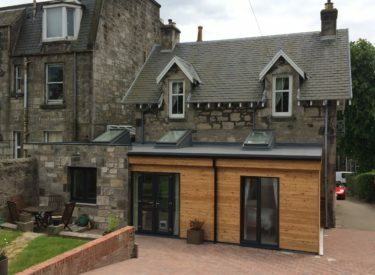 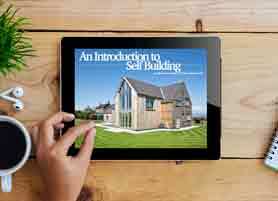 The varied designs initially provided gave the clients timber-clad, contemporary flat-roofed options, alongside more traditional pitched roof options. 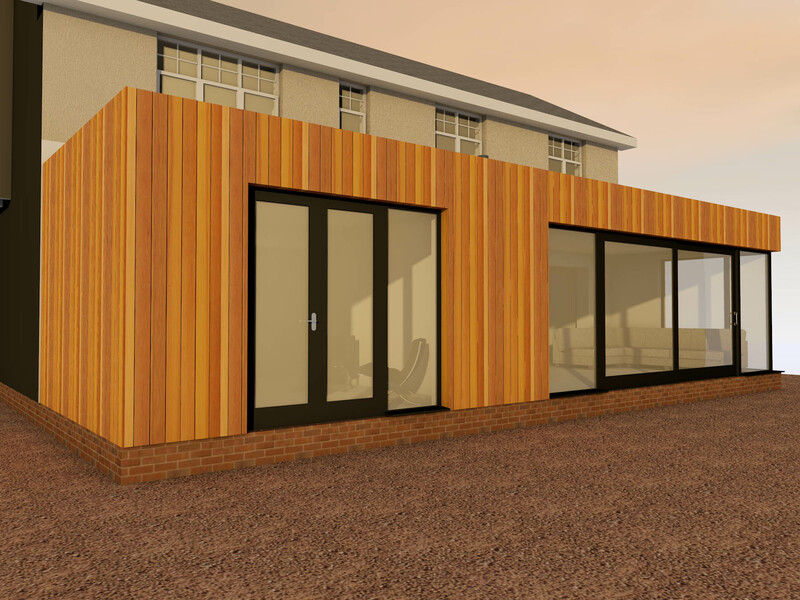 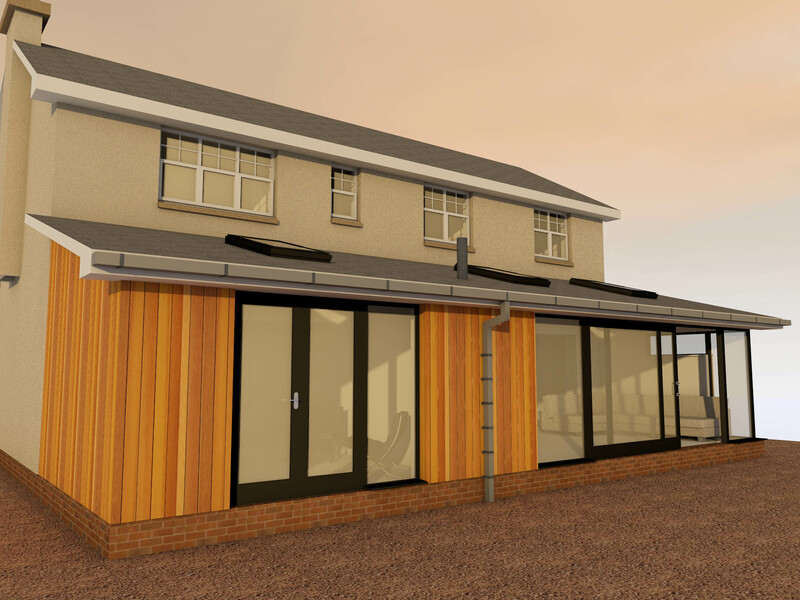 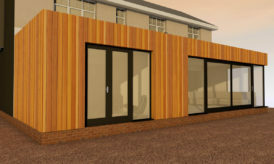 ACA utilised its 3D modelling software, which enabled the client to view the proposed sunroom extension on their own computer, prior to it being built. 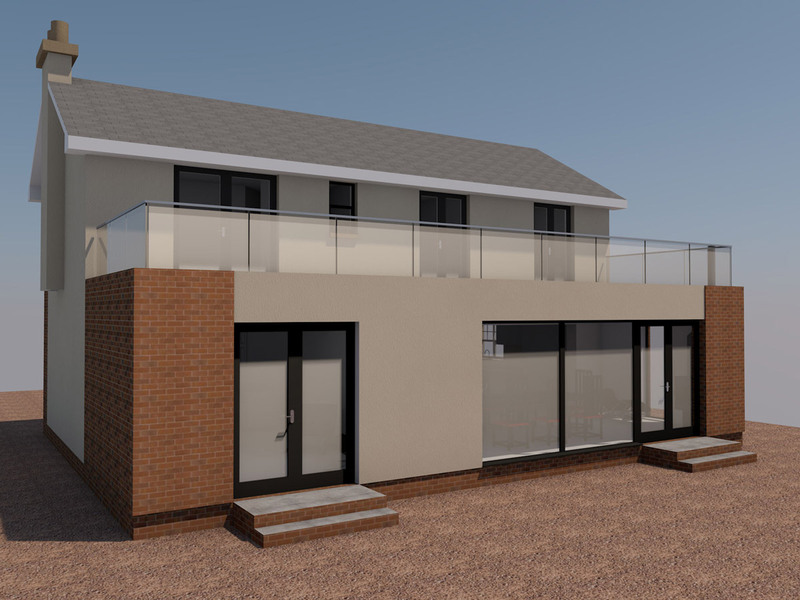 The sunroom extension was designed in line with Permitted Development guidelines – meaning that the proposed sunroom extension did not require a full planning application, and this saved a significant amount of time and money. 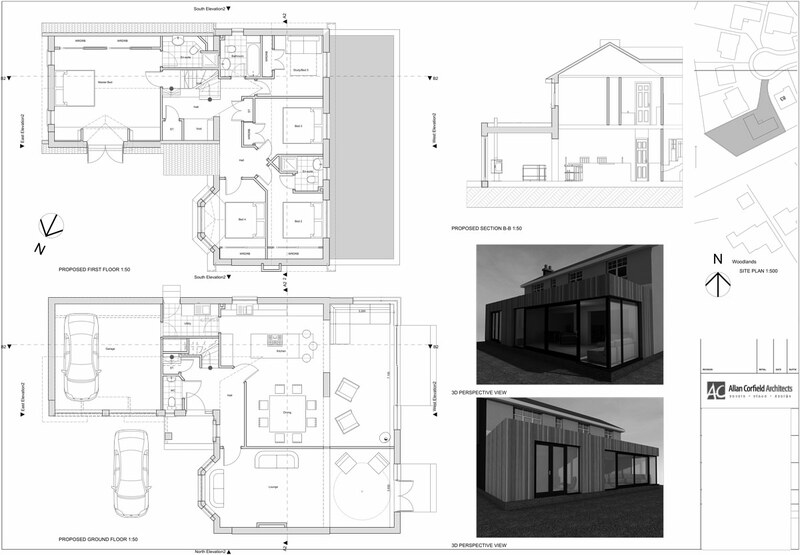 The project received Planning approval in March 2015, and the Building Warrant will be submitted by the end of July – with a proposed completion date for the sunroom extension around October 2015.